Any day spent this side of the daisies cannot be all bad. Today wasn’t the best day of my life, but it certainly wasn’t the worst one, either. That puts it comfortably somewhere in the middle – a pretty darn good day. Woo-HOO! And many more! And a very happy UNbirthday to YOU! 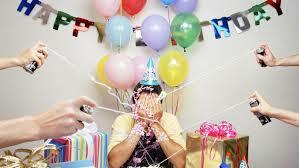 You only have one birthday a year, but you have 364 UNbirthdays every year, so CELEBRATE TODAY!